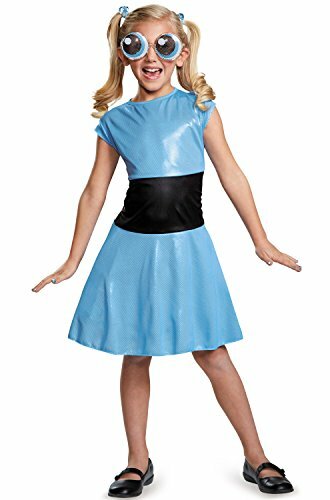 Power Puff Girls Costumes: Special Prices. Halloween Store. Incredible selection of Halloween Costumes, Halloween Decorations and more! Accidentally created in a lab by Professor Utonium, super powered sisters Blossom, Bubbles and Buttercup regularly save Townsville from evildoers such as Mojo Jojo, the Gangreen Gang and Him. Blossom is the self-proclaimed leader of the trio, Bubbles is the cute one and Buttercup is the toughest one. 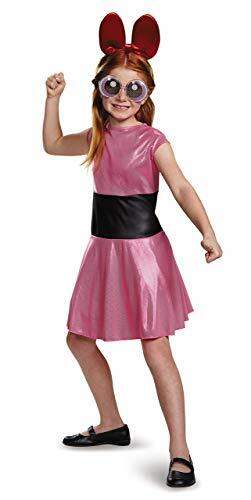 Become the sweetest Power puff Girl and bring joy and laughter wherever you go in our Bubbles Deluxe Adult costume. Dress features shiny stretch fabric with a layer of glittery tulle on skirt. 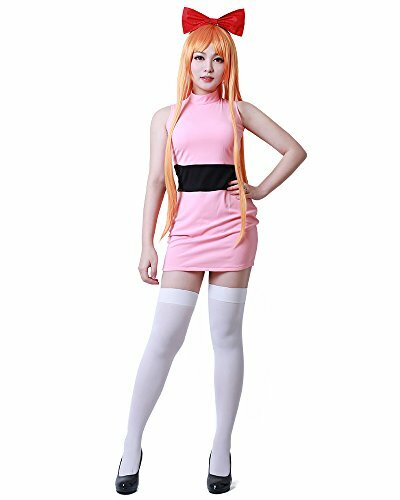 Costume comes with hair ties and a pair of character glasses for that complete Power puff Girls look. Bubbles is the cute and sensitive POWERPUFF girl. 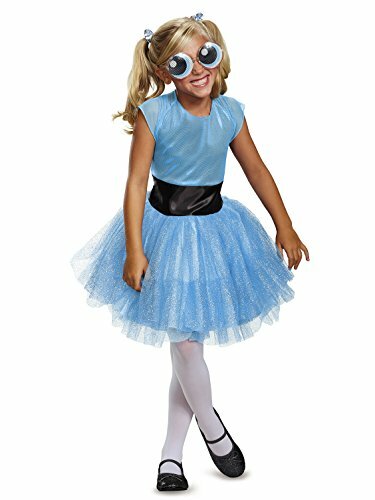 This bubbles costume is so cute with the sparkle tutu and included hair ties and glasses!. Want to be one of the girls Blossom, Bubbles or Buttercup ? Please choose the signature color for them. Power Puff to the rescue! 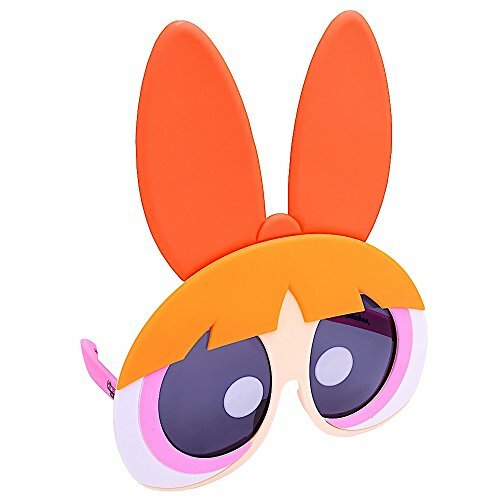 Become a force to be reckoned with when wearing these Power Puff Girls Blossom Sun-Staches! Sun-Staches provide 100% UV 400 protection and ultimate party fun. 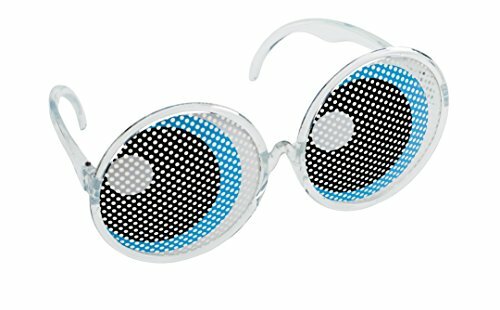 These one-size-fits-most sunglasses transform you into the star of the show; whether it’s a themed party, pop culture costume, or your favorite character. As seen on Shark Tank, these sunglasses are comfortable and perfect for adults and children of all ages! Sun-Staches can instantly transform anyone into the life of the party or the most interesting person at the supermarket. For the adults, it's the perfect way to bring out your inner kid-at-heart personality. For kids, it's a way to show off a favorite character or just have fun! Would you rather play a game of ultimate Frisbee with some boring guy without glasses or your neighbor who just happens to be wearing a leprechaun mask and having the time of their life? Our thoughts exactly.